Since about 400 AD, Christians have celebrated the birth of Jesus. 'Christ' means 'Messiah' or 'Anointed One' - the title given to Jesus - and 'Mass' was a religious festival. In the West today, the real meaning of Christmas is often forgotten. It has become a non-religious holiday! More children believe in Father Christmas than in Jesus. Christmas Day is a time for eating and drinking too much and watching television. The real Christmas story is found in the Bible. It is told in two different books of the New Testament: Matthew and Luke chapters 1 and 2 and was foretold in the Old Testament. The story of the birth of Yeshua (Jesus), and the way that the West celebrates Christmas today, don’t seem to have connections. Here it is important to note: Bethlehem of Judah was called Ephratah, (near Jerusalem) so is distinct from the other town of Bethlehem in Israel. In this verse we can also see - the least in other aspects is honoured above them all as Ruler - King and sovereign in Israel: Amidst the Israel of God and, as he is the Son of God, equal with his father, is eternal. Many prophetic words told of the birth and life of Jesus, written hundreds of years before His birth. Historical facts show, that Yeshua died in 33AD and 37 years after His death, the Temple of Jerusalem was destroyed. (Basically Daniel was speaking after the destruction of the 1st Temple, so clearly he is talking about the 2nd Temple being built and destroyed, but before its destruction the Messiah would come). Matthew and Luke tell how Jesus was born as a baby to Mary. She was not married, she was a virgin and an angel had told her she would bear a special baby. Her husband-to-be, Joseph, did not believe her at first. Who would? Then an angel told him in a dream that it was true! Probably no one else believed it. So when they had to travel from their home in Nazareth to Bethlehem (near Jerusalem), to register their names with the ruling Roman government, they probably escaped many harsh words from other people. After Yeshua (Jesus) was born, wise men came looking for Him, from an area which is most probably Yemen (because of the abundance of Frankincense) or other surrounding Middle Eastern countries. Although they are often called the "Three Kings", the Bible does not state how many there were, or that they were kings. Three is only a guess because they brought with them three gifts: Gold - a gift fit for a King, Frankincense - burnt in worship of God and Myrrh - a sign of mortal human-ness - it was used to bury the dead. Herod, the evil king at that time, heard about the child, saw Him as a threat, and sent soldiers to kill Yeshua. But God told Joseph in a dream to take Mary and the baby and escape to Egypt. They lived there till King Herod died and then went back to live in Nazareth. We read nothing more about the life of Jesus, except for one story when he was 12, until He reached 30. We all grow up with pictures of Yeshua on our walls or on the walls of our churches. Most of the artist’ renders pictures of someone who looks European. Yeshua probably didn’t look like that. He was a Jew, a Semite, and probably had a darker complexion, dark (maybe curly) hair, and dark eyes. The pictures also make Him look kind of weak and we certainly don’t believe there was anything weak about Him. He walked from place to place throughout the Land with His disciples. The terrain of Israel is not made for easy walking; it is often very hilly and rocky, with high and low elevations. The walk from the Galilee to Jerusalem was an arduous hike. Consider this, Yeshua is the only person in all of history who chose what family He would be born into, and He chose to be a Jew. Another fact that few of us stop to think about is that Yeshua was never identified as a Christian. He was born into a pious Jewish family, lived His life observing Torah (Gen.–Deut. 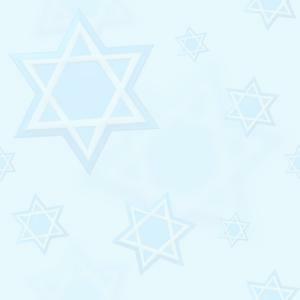 ), wore a prayer shawl, worshipped in synagogues and the Temple and lived among Jewish people. Surely if we love our Jewish Messiah (Christ), we will choose to be interested in His interests and to love those He loves, including His natural family, the Jewish people. Israel is the stage upon which God chose to reveal Himself to the world, as the one true God. We haven’t found any Christians who deny this fact historically. Many, however, don’t seem to recognize that Israel is still significant to God. Living as we do, 2,000 years after the events of the New Testament, and around 3,000 years after the events of the Old Testament, Israel often seems irrelevant to Christians. Yet, God is still revealing Himself to the world as He fulfils His ancient promises to Israel. God is proving to the world that He is a faithful, covenant-keeping God who can be trusted to keep His word because of His faithfulness, regardless of the worthiness of the other. “Sing” with gladness for Jacob; Rejoice in what God is doing; “Shout” among the chief of the nations - Speak up on her behalf to those who can make a difference; Proclaim”—Tell what God is doing; tell Israel’s story. “Give praise”— Praise God for being a covenant-keeping God. “And say, ‘Oh LORD, save Your people’”—Pray for the complete restoration and redemption of Israel. A light of revelation to the Gentiles and the glory of your people Israel! O Lord, as you have said; For my eyes have seen your salvation, Which you have made ready before the face of all nations; A light of revelation to the Gentiles, and the glory of your people Israel. Hanukkah or Chanukah means “dedication”, referring to the rededication of the Temple after a great Jewish military victory in 165 BCE. It is mentioned as the ‘Feast of Dedication’ in the Bible and found in the books of First and Second Macabees in the Apocrypha, the books written in the 400 year “silence.” God was not silent in these years however. He was still at work fulfilling His promises and preserving His people. The events of the Macabees were prophesied centuries before by Daniel. Antiochus wanted everyone to be united under Greek Hellenism, thus he was not at all tolerant of the Jews. The king called himself “Antiochus Epiphanies” which means “visible god.” He made people bow down to his statues and if they didn’t comply.....the consequence was death! Social and political pressures caused some Jews to follow Antiochus and they actually bowed down to his statues (doesn’t sound Jewish to me). The name for the Jewish heroes of Hanukkah comes from using the first letters of these Hebrew words to form “Maccabee”. Matathias’ oldest son was nicknamed “Judah Maccabee”....the hammer....because he fought so hard. The battle was difficult for untrained Jewish farmers against the well equipped Syrian soldiers. On the 25th of the Hebrew month of Kislev, the date the Jewish people celebrate Hanukkah, the Maccabees won back Jerusalem and the Temple that had been desecrated by Antiochus. This date was also prophesied by; Daniel 8:13-14 “…How long will it be until the daily sacrifice is restored again? How long,! …until the desecration of the Temple is avenged and God’s people triumph? He replied: “For 2,300 evenings and mornings; then the Holy Place will be properly restored.” This is a great confirmation that God’s word is true: Historically accurate from the start of Antiochus’ persecution of the Jews in 171 BCE until the restoration of the Temple in 165 BCE...... 6 years, 3 1/2 months = 2,300 days!! How did the tradition of the 8 days and lighting 8 candles begin? When the victorious Maccabees began cleaning up the Temple, they found only one small jar of oil for “ner tamid”...only enough for one day and so they sent a messenger for more. Meanwhile, the small amount of oil burned miraculously for 8 days. Another explanation for the 8 day observance is that some Rabbis believe it was a delayed celebration of the fall feast of Sukkot, which also lasts for 8 days. 1. Many will turn away from God (as some Jews did who followed Antiochus’ Hellenism). 2. The “son of perdition exalts himself above God” (as Antiochus Epiphanies did). 3. But the Lord will destroy him with the “brightness of His coming”... this victory we can all think of; when we gaze at the lights of the Hanukkah Menorah. 4. The Lord will usher in His millennial Kingdom with the overthrow of the “lawless one” in a miraculous way. And… during the time of Yeshua we read in John 10:22 that the people’s minds were focused on themes of deliverance and rededication; oil and light. On each day of the festival a new candle is lit on the nine branched menorah. Candles are placed into the menorah from right to left, with the centre "Shamash" (servant) candle and the right most candle being used the first night. The candles are lit left to right, so the Shamash candle is lit first, then all other candles. It is tradition to light the candles before the festive meal each night. “Birchat ha chama” is a Hebrew phrase that means “the blessing of the sun.” Using chama (hot) as a synonym for sun, it is a special ceremony done once every 28 years in which the Jewish people thank God for the sun. They understand that the sun was created on the first Wednesday of Nissan (Hebrew month in April / May) and it returns to its original position every 28 years. And it happened this year on the 8th of April during Passover. In the last days, when the “sun of righteousness” Malachi 4:2 or Messiah, will sit on His throne in Jerusalem and His light will outshine the sun, Isaiah 24: 23, and Yeshua, the lamb of God, will be the city’s light, Revelations 21:23. Israel is the stage upon which God chose to reveal Himself to the world, as the one true God. We haven’t found any Christians who deny this fact historically. Many, however, don’t seem to recognize that Israel is still significant to God. Living as we do, 2,000 years after the events of the New Testament, and around 3,000 years after the events of the Old Testament, Israel often seems irrelevant to Christians. Yet, God is still revealing Himself to the world as He fulfils His ancient promises to Israel. In Ezekiel 36: 20 – 23 we are assured that God is proving to the world that He is a faithful, covenant-keeping God who can be trusted to keep His word because of His faithfulness, regardless of the worthiness of the other.